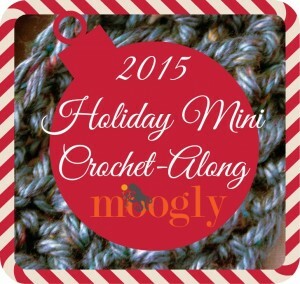 The Hurry Up Holiday Cowl is the first pattern in the 2015 Holiday Mini Crochet-Along! The Hurry Up Holiday Cowl takes just one skein of Lion Brand Hometown USA, and works up in less than an hour – after making a couple, I got it down to under 30 minutes! The matching hat will be shared on December 11th. Round 4 – 5: Repeat Round 2 – 3. And voila! 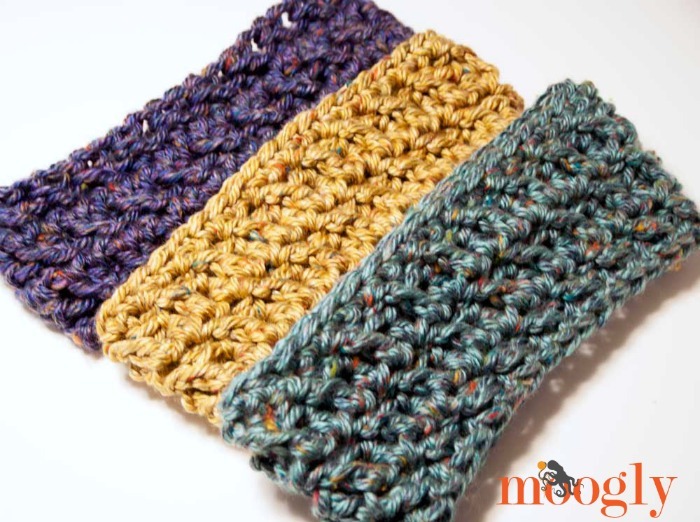 In just minutes you have a warm and cozy cowl! 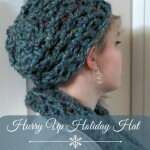 Stay tuned for the matching free crochet hat pattern! Thanks for this pattern! I just bought a bunch of Hometown USA for $1.88 / skein on Black Friday. Now I have a quick and easy (and inexpensive) pattern for last minute Christmas gifts! Love your site and tutorials, I’ve learned so much from you! Thanks again! 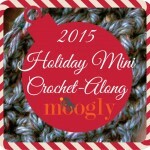 What a fantastic idea for the holidays! What’s christmas without crochet? 😉 Thanks! Thank you so much for yet another super pattern. It will certainly come in handy for teacher/friend gifts over the holidays :). 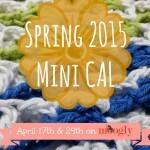 I really appreciate all the time, money and attention you put into all of your patterns and tutorials. Thank you and happy holidays to you and yours. That’s really good looking. I pinned it to one my popular boards! Thank you so much Clotilde! Sorry, I am fairly new, what is the FPDC mean? Hi Mishel! It is front post double crochet. 🙂 Be sure to check out the lined video tutorials, it will help you a lot I think! I have a question on the hook size. In the pattern you list the recommended hook as a 15mm P/Q hook. At my local store, they carry P hooks (10mm) OR Q hooks (15.75mm). Which size would be more appropriate for this pattern? Thank you! Love this!thank you for post it.Also thanks for the videos they are big help. Just is it me or is the FSC a little difficult wth this size hook? Just finished one and starting another. Love the pattern – had never tried a FSC or the FPDC. I like the look! Thanks!! Made this tonight – LOVE IT! I can’t wait to do the hat. Thanks for sharing this pattern. Hi Tamara, I am still fairly new to crochet. I am really having a hard time with the pattern. I finally got the FSC down but I am confused with the rest of the pattern. Is it possible for you to make a tutorial on this pattern? Please, please. 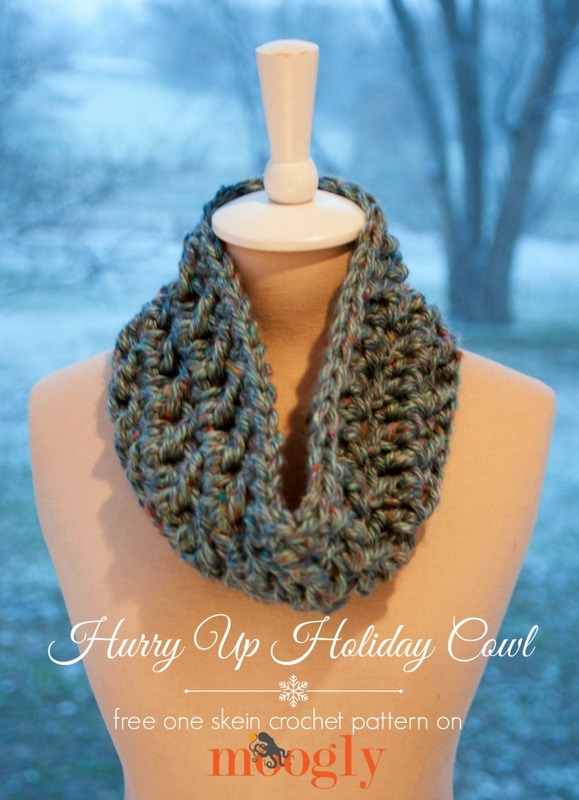 It would really help me to understand reading and making this awesome looking cowl. Hope to hear from you and get some help. What a wonderful gift for my son’s preschool teachers! They go outside to play often and it gets quite cold here. Like others, I took advantage of BF sales on this yarn and have a variety of pretty colors to work this up. Looking forward to making matching hats!! 😀 I’m so glad you like it! Thank you! I can’t do the dfpc . is there another stitch that can be used on this easy fast crowl? I need to keep it simple and i need some gifts , have the yarn.